You’ve been counting down the years until it was time to study abroad, and the time is now. You’ve narrowed it down to Barcelona and Tel Aviv – both jam packed with beaches, vibrant cultures and some of the world’s best nightlife. Whatever city you decide to go with you’ll be adapting to a new way of life, with each country offering different vibes. Everyone knows studying abroad isn’t all studying; it’s your chance to let your hair down and really live. Tel Aviv and Barcelona are both home to world famous clubs and DJs. In Barcelona, you have a plethora of districts to go out, filled with your traditional clubs to wine bars to cafes. However, ladies, you better buy comfortable shoes because with a population of 2 million people you’ll be waiting in long lines and having to pay big covers to get in on the fun. Tel Aviv out runs Barcelona’s nightlife by far and is situated right on the beach. Forgottaxiing from district to district or waiting in lines, no matter what neighborhood you’re in in Tel Aviv, the nightlife jumps out at you – it’s in the streets – on the beaches – and right at your front door. Such clubs as Clara, Kuli Alma, Solo and The Block will rock your night and don’t come with expensive covers and long lines. 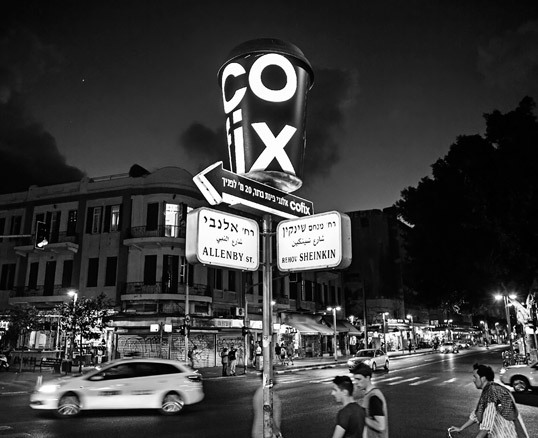 Be sure to stop by any neighborhood Cofix because at night it switches from 5 shekel coffee to 5 shekel drinks! Because there’s a good chance your university in the U.S. is not close to a beach, you’ve picked two cities right on the beach – and no one can blame you. Barcelona and Tel Aviv continuously make The Top Beaches in the World lists year after year. Barcelona is a city located on a beautiful beach that’s full of restaurants, yachts, and activities. The beach in Barcelona, although full of vibrancy is only a mile long and gets quite packed during the busy season. If you’re looking to study to at the University of Barcelona you’re a 45-minute walk to the sun and sand or a 4-hour walk if you’re looking to study at Universitat Autonoma de Barcelona. You’ll need to get a bus pass to get tan at these schools. Tel Aviv, on the other hand, boasts 8 glorious miles of beaches and from the Tel Aviv University campus, you’re a 20-minute stroll to Tel Baruch Beach. The beaches in Tel Aviv, although also packed, are full of cafes, sunbathers, Matkot players, surfers and outdoor workout facilities; so whatever your beach style may be, from just laying out to throwing a football there’s a beach for you. Eating and traveling go hand-in-hand and since you’re looking to study abroad you’ll have plenty of opportunities to do both. 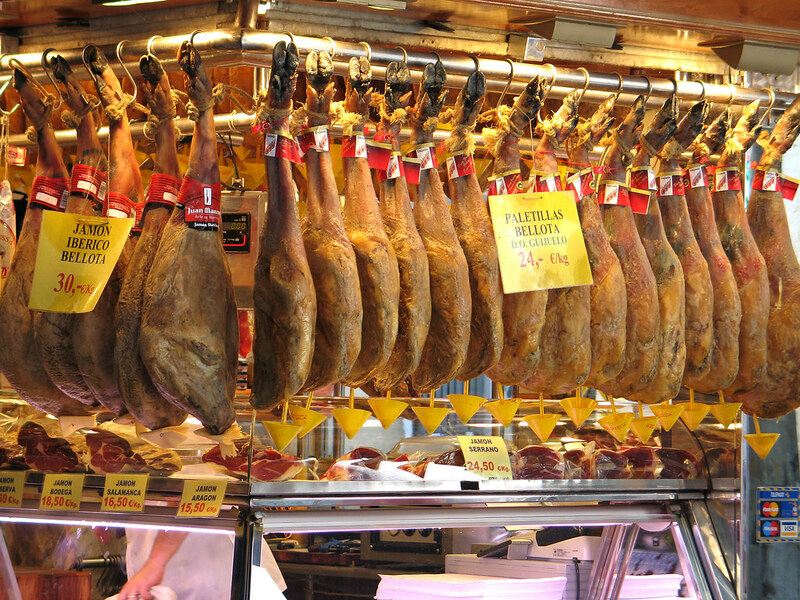 In Barcelona, you’ll have your fix of Paella, various seafood dishes and will be eating tons of small plates call Tapas. You’ll notice that most restaurants have a cured, full-sized pig hanging in the window that is also available for dinner. If rice, sausage, and dried meats are your things then Barcelona is a fit, but if you’re looking to make your friends drool over your Instagram for the next 5 months then get to Tel Aviv. Offering far more than milk and honey, Tel Aviv known as the cultural bubble of Israel has burst onto the world’s food scene as one of the finest culinary destinations. No matter if it’s 3:00 PM or 3:00 AM you’ll be smothered with old-school classics such as falafel, shawarma, hummus or bourekas. Not in the mood to fill your belly with hummus? Then it won’t be a problem to find pizza, sushi, nachos or McDonald’s. Another great plus to Tel Aviv is that this cultural bubble (known as habu’ah in Hebrew) is filled with people from all over. You could literally, eat food from a different part of the world every day, since people from Yemen, Ethiopia, Russia, Italy, Morroco, Iraq, Iran, Argentina, and Brazil (to name a few) have been moving to Israel continually since the founding in 1948. In between your classes and social life, you must make room to experience the history of where you are. Luckily enough, Tel Aviv and Barcelona were both paid a visit by Napoleon and are huge hubs of history. Barcelona, a city founded by the Phoenicians and Carthaginians and once ruled by the Romans has a lot to offer. Its streets are filled with medieval buildings and old stone churches. You’ll discover the architecture of Gaudi and stroll in century-old parks like Montjuic and Placa de Catalunya. The history in Barcelona is separate from day-to-day life, the Jewish quarter is slightly hidden and you’ll have to work to really experience the history. 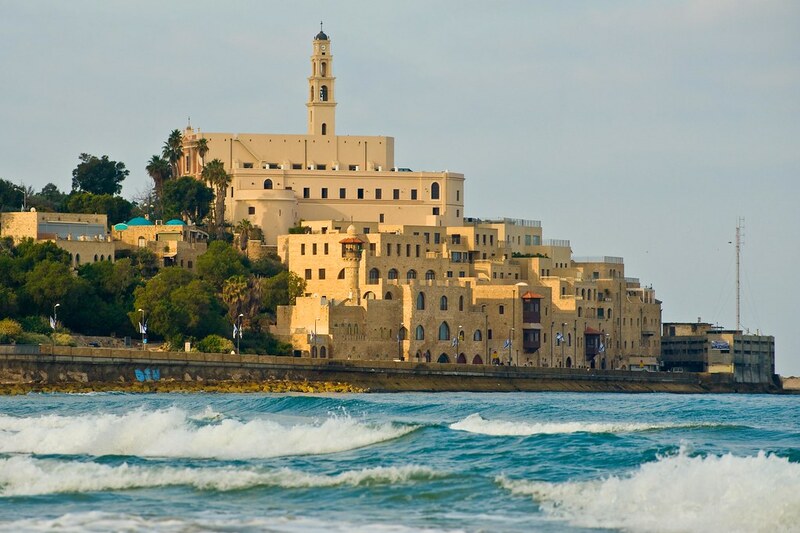 Tel Aviv is located in a country whose history goes back thousands and thousands of years. Israel contains the most sacred sites in the world to the religions of Judaism, Christianity, and Islam and you won’t have to take a tour to experience it. In Tel Aviv seeing the history is as easy as walking. Pick any street to stroll down and you’ll see the Bauhaus architecture in which the city is known for and if you really want to see Gaudi there’s a taste of that too. Head to HaYarkon Street and feast your eyes upon the “Crazy House,” created by Leon Geneva, which clearly has an influence from Gaudi. If you want to experience the ancient history of Israel and the world head to Jaffa and see the ancient sea ports or take the bus 1 hour to Jerusalem and walk around the Old City. If that isn’t enough, take a day trip to the Dead Sea and float on. Thankfully, with great public transportation, you’ll have an excuse to see and do everything. The Spanish and Israeli cultures share a lot of similarities. Both cultures have strong family ties and have a slightly more relaxed way of living. The overall culture in Barcelona is hedonistic. When they say fiesta, they mean fiesta. During holidays and soccer games its common the entire city will celebrate until dawn. Opposite of the fiesta, a common custom in Barcelona is the siesta. Approaching 2:00 PM you’ll notice shops and businesses closing down for the siesta, in Spanish that means naptime. When summer is approaching in Barcelona it may even feel like a city-wide siesta as locals flock to other destinations for vacation. Even more opposite of the siesta, Tel Avivians never, ever sleep. You will notice that the city is not only relaxed but awake and lively at all times. On Saturdays, as the rest of Israel rests in Observance of Shabbat, Tel Aviv becomes alive. Beaches, bars, and cafes are packed with the young, wild and free looking to celebrate life. Whether you’re fluent in Spanish or Hebrew or neither each university in Tel Aviv and Barcelona has programs to study in English. Barcelona is a touristy city so you will find road signs and menus in English. However, it’s often heard that most Spaniards do not speak English and it’s recommended to learn a few Spanish phrases before your trip. In Israel, English is the 3rd unofficial national language after Hebrew and Arabic. Every sign in Israel is written in Hebrew, Arabic, and English which allows your navigation skills to flourish. Most cafes, restaurants and bars all have the option of English menus. If you’re seeking directions or want to know how much something costs – just ask. Israelis start studying English in the third grade and use it frequently throughout their life. Convinced eating your body weight in hummus and falafel is the #bestideaever? Obviously.